On https://testnet.blockexplorer.com/tx/f72f59a32c1bac47ec87bc3678ec44e98eece5e235d29d79cd1f5461ccc5bf38 there are -1797 confirmations. However on https://live.blockcypher.com/btc-testnet/tx/f72f59a32c1bac47ec87bc3678ec44e98eece5e235d29d79cd1f5461ccc5bf38 there are +1318 confirmations. 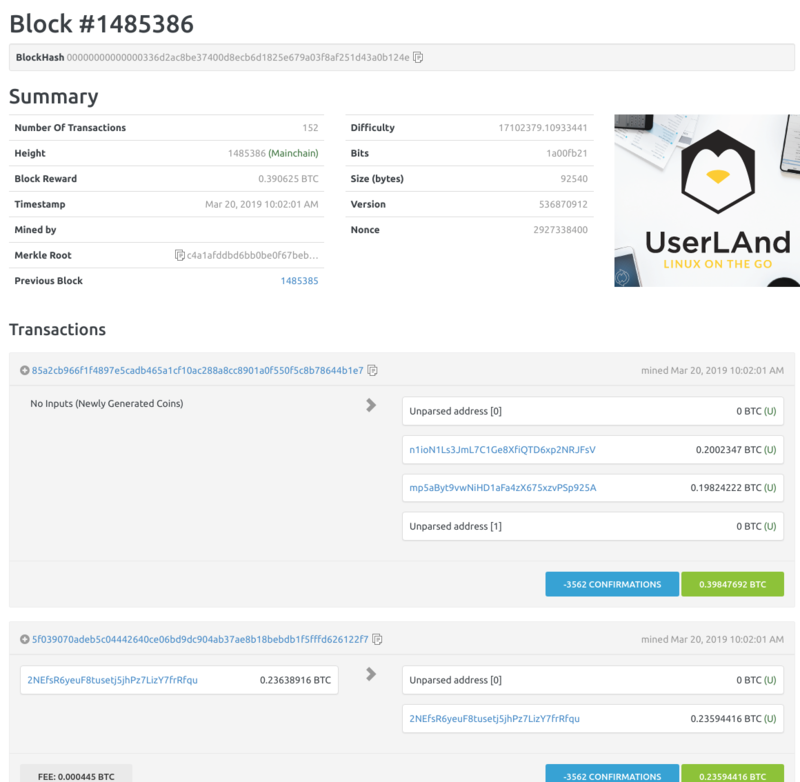 Moreover, one of the outputs appears to be spent on blockcypher but unspent on blockexplorer. Why is there such a difference in the number of confirmations? Is there something wrong with this transaction? The transaction in question has some 1300+ confirmations, so this seems to be squarely on blockexplorer.com. Not the answer you're looking for? Browse other questions tagged testnet confirmations blockexplorer blockcypher or ask your own question. What am I doing wrong with my BitcoinXT test net setup? What does a negative “confirmations” value in listtransactions mean?